Without volunteers, Special Olympics Northern California would not exist. We depend on the time, energy and dedication of thousands of energetic volunteers to fulfill our mission. Today we boast the extraordinary support and time of 23,510 volunteers and volunteer coaches. If you are able to commit some time as an assistant coach or play alongside an athlete as a Unified Partner®, we can use your help! Special Olympics volunteers include students, retirees, professionals, and families. You don’t need coaching experience or specific training working with persons with intellectual disabilities. We have great staff, mentor coaches and coaches’ training to get you going. If you are at least 14 years old, have a love for the sport, time to commit, and a willingness to make a difference, you can help us change lives. To complete a Volunteer Application to become a Coach or Unified Partner®, please follow the steps below. If you are unsure about becoming a Coach or Unified Partner®, there are other ways to get involved on an ongoing basis. Explore the many roles you can choose from. Please complete each step to be cleared as a volunteer coach with Special Olympics Northern California. All new and renewing volunteers must complete our online application and submit a photo ID. All new and renewing volunteers (Age 18+) must complete a background check. The estimated cost is $10 and is valid for three years. ‘Good Deed Code’ is dj4jsmx. All new and renewing volunteers must complete the orientation which includes concussion and protective behaviors training. Coaching Special Olympics is incredibly awesome and rewarding. I love walking into practice and being greeted by smiles and hugs; watching athletes blossom as they learn new skills and sports; working with athletes and their families to encourage them to take on new challenges; seeing athletes succeed at the new challenges and watching their face light up when they finish a race or competition. 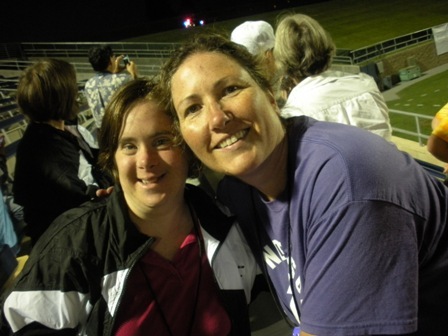 I love being a Special Olympics Coach and volunteer – it has enhanced my life in more ways than I can count.